It happens again and again: the front door is closed, the key is in the apartment, and the residents are out of the house – at worst in the middle of the night. A locksmith can help, but often horrendous bills are the result. Even if you should exclude yourself in the middle of the night – no problem for the key service of Monti Locksmith Düsseldorf. Log in to our key emergency call, no matter what time. The Monti Locksmith team is your competent door opening advisor and further questions in the field of safety technology. Within 15-40 minutes the specialists will be at your home and will give you back access to your own home. As the nationwide statistics show, the number of house and apartment burglaries is increasing dramatically. With an effective burglary protection, the perpetrators can in most cases prevent it without deliberate planning to break doors and windows. We at Monti Locksmith Dusseldorf also offer you an all-round burglary protection, with which you can live safely in the future and without fear of burglaries. We from Monti Locksmith are your partner for safety technology in Düsseldorf and surroundings. Take advantage of our wide range of services, which includes emergency openings, locking systems, vault openings, property security etc. It is always better to get help from a professional than to try to solve the problem by yourself, cause that may end up with damaging your door. Our Monti Düsseldorf locksmith also got a physical store and not only provide online services, furthermore we also got a licence and are an certified locksmith. We have stable partners and customers over a period of years and are established in Düsseldorf. 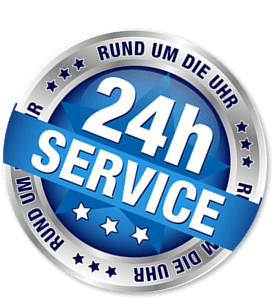 The Monti Locksmith Dusseldorf Oberkassel is available for you 24 hours a day, 365 days a year, regardless of whether at night, on public holidays or on Sundays. The Monti Locksmith opens the door for you if you can not do it. We are available in each part of the city Düsseldorf. You have misplaced your keys on the way and are unable to enter your home because your door is closed? We from Monti Düsseldorf locksmith have the solution for you! A solution that lets you find inside your home without having a damaged door. Fixed and cheap prices, that has the Monti locksmith Dusseldorf. These prices depend on the effort and time. Forget about hidden surprises and horrendous prices, we do not have that! Do not be afraid to call us. Never try to open your own door – damage and warping in the lock can destroy this and make our work extremely difficult. We at the Monti locksmith Dusseldorf believe that every key and lock issue is comparable to the situation of illness or accident. The patient can not wait for the urgently needed medical treatment, neither at night nor at the weekend, until the doctor starts his service. He must be helped immediately, and so it is in a key or closing emergency. Who calls our hotline for the key service Dusseldorf, who has the certainty that he will be helped within 30 minutes. So don´t hesitate and call us the Monti locksmith Dusseldorf!